I’ve seen a number of news stories this past week in regard to an email the folks at N2A sent out about them releasing an update to their N2A cards to bring Android KitKat v4.4 to the Nook Color, Nook Tablet, Nook HD, and Nook HD+. That’s all fine and dandy for those of you that don’t mind shelling out some cash for something you can get for free. But for the rest of us who don’t shy away from a little technical work and a few extra minutes, Android 4.4 KitKat can be had for free on any of Barnes and Noble’s tablets just by visiting your good friends at the XDA forums. There’s no disputing that N2A cards are great for non-tech savvy folks, which is more of B&N’s intended market for their tablets anyway. I’ve reviewed a few N2A cards in the past and they make setting up and installing as simple as it gets. But they aren’t free. The cards cost from $30-$50 depending on size from 8-32GB. The download option costs $20 if you already have a microSD card that you can write the image to. 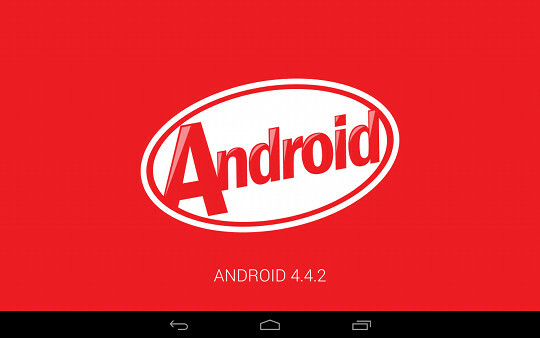 If you purchased an N2A card in the past it costs $9.99 to upgrade to Android KitKat 4.4. Of course there are other ROMs and projects that you can find at XDA in addition to these ones, and they are always free of charge. It’s surprising that development on the Nook Color is still active. If you want to learn more on how to flash ROMs here’s some tutorials for the Nook Color and Nook Tablet. It’s pretty simple, really. Nothing to it once you try it a few times. I followed the instructions and successfully installed Android 4.4 KitKat on my Nook HD’s external Micro-SD card. I worked with KitKat for a couple of hours and realized that I didn’t like it. I tried to reformat my SD card but now I find that I can’t reformat it. Is there a solution to this? How can I recover my SD card so I can use it for storage again? I use a free program called SDformatter. Thank you, Nathan! It worked!!! I now have all my 29 GB available again. Why didn’t you like KK on the Nook Color? I would like to try it on my NC. Would you consider selling an image of the KK from your micro SD so I could check it out? Yep, that’s the gist of it. All N2A cards can be created for free if you know what you are doing. Ooops, I see you had a Nook HD. NVM. So sorry. i’m not really a tech personn but i really want to do this. Can you give my simplified step by step? Are these n2 a cards available any larger than 32g?